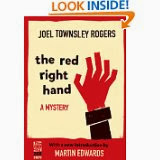 I'm surprised that I'd never heard of The Red Right Hand by Joel Townsley Rogers (published 1945 and now available as e-book) until recently. What a novel! 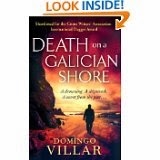 The author runs full tilt at the plot, pulling the reader along with him, and keeps going, the pace never slackening, until finally, finally, he skids to a halt at the end of the novel, leaving the reader breathless and astonished at the audacity of the conclusion. The first person narrator is Harry Riddle, a young surgeon, and the opening lines set the tone of the novel: 'There is one thing that is most important, in all the dark mystery of tonight, and that is how that ugly little auburn-haired man, with his torn ear and his sharp dog-pointed teeth, with his twisted corkscrew legs and his truncated height . . . could have got away and vanished so completely from the face of the countryside after killing Inis St. Erme.' What is most worrying Riddle (aptly named!) is the puzzle of how 'the murder car . . . could have passed by me while I was at the entrance to the Swamp Road just before twilight.' The killer must have passed Riddle - all the eyewitness accounts confirm it - yet it didn't. Or so Riddle thinks, for as the novel continues we suspect more and more than Riddle isn't a reliable narrator. Could he even be the murderer? The novel is like a piece of music in the way that it returns again and again to theme of the disappearing car, adding an extra element each time. The narrative moves back and forward in time, plot twists are thrown in with wild abandon, and yet somehow the writer keeps it all under control. In his excellent introduction, Martin Edwards comments on the 'torrent of coincidences' and that's true, but it's such bravura performance that one is swept unresistingly along, and I agree with his verdict that it is a stunning novel. It reminded me a little of Frederic Brown's Night of the Jabberwock (also newly available as an ebook), but only a little. The Red Right Hand is one of a kind and I loved it. I said a few weeks ago that I was going to use the London Library more - and I have. I've blogged about a book I got out recently: The West End Front: The Wartime Secrets of London's Grand Hotels by Matthew Sweet. And, for my book group reading, there has also been Italio Calvino's Invisible Cities and The Elephant's Journey by Portugese writer, José Saramoga. And let me mention here that I am so grateful to my book group for suggesting books that I wouldn't otherwise have read, these two among them. It stops me getting too lazy as a reader. I often persist with a book that I don't initially care for, feeling duty bound to finish, and I am almost always glad that I did. Having said that, this is the time of year for comfort reading, and I've also got out Miss Read's Village Diary and Storm in the Village, At Bertram's Hotel by Agatha Christie, and the latest Ian Rankin. There has also been Adam Gopnik's book of essays on winter (interesting but not as good as his book on living in Paris) and there are books still waiting to be read: The Buenos Aires Quintet by Manuel Vásquez Montalbán and Conrad's Tales of Unrest. I think I've mentioned in the past that one of the wonderful things about the London Library is that they don't throw out books just because they are old (or unread for that matter) and it's thanks to that that I've also been sampling the work of a Golden Age crime novelist new to me: Henry Wade. Lonely Magdalen was recommended to me by Martin Edwards who blogs at doyouwriteunderyourownname.blogspot.co.uk and when I'd read it, I couldn't understand why Wade isn't better known. Henry Wade was the pseudonym of Sir Henry Lancelot Aubrey-Fletcher, 6th Baronet CVO DSO, (1887 – 1969) and he was a founding member of the Detection Club, so I guess was pretty well known in his day. The premise of Lonely Magdalen is intriguing: a prostitute is found murdered on Hampstead Heath and it turns out that she is from an upper class family and disappeared twenty years ago. How did she come to this and does the clue to her murder lie in her distant past? Both prostitution and alcoholism are treated with a frankness surprising for 1940, the year of publication. Wade sustains our interest in the investigation by the dogged Inspector Poole with great skill. Wade isn't mentioned in Julian Symons's Bloody Murder: From the Detective Story to the Crime Novel, but I think he should have been. The novel reminded me of the work of the US writer, Hilary Waugh, in the way that Wade manages to write about police procedure, dead ends and all, in a gripping way. Waugh is often seen as the father of the police procedural, but his landmark novel, Last Seen Wearing, didn't appear until 1952, twelve years after Lonely Magdalen. 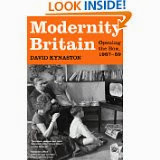 Another lovely thing about the London Library is that books can be posted out. They have plenty of Henry Wade's that I haven't read and I've just requested another, Heir Presumptive, to be sent to me.